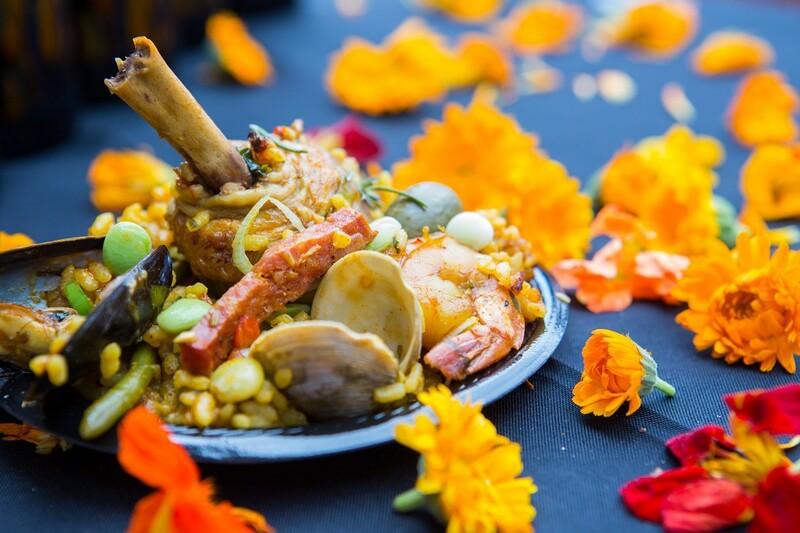 You're a glass of rioja away from heaven with this paella. Photo courtesy of Sugar Land Wine & Food Affair. Founded in 2003 by the Fort Bend Chamber of Commerce, the Sugar Land Wine & Food Affair was initially designed to showcase the growing city of Sugar Land. The multi-day event has been a huge success ever since and now features businesses, chefs, master sommeliers and mixologists from Sugar Land and surrounding areas. This year’s celebration takes place April 4 through 8 at various spots around the city and is expected to be the largest in its history. Chef James Foote of Cicada Catering. Photo courtesy of Sugar Land Wine & Food Affair. Festivities begin Wednesday, April 4 at the Sugar Land Heritage Museum at 198 Kemper with the One If By Land, Two If By Sea dinner. This elegant surf and turf experience is the vision of “two meat-loving and two fish-loving chefs” and promises a one of a kind evening of Gulf Coast seafood and grilled meats. 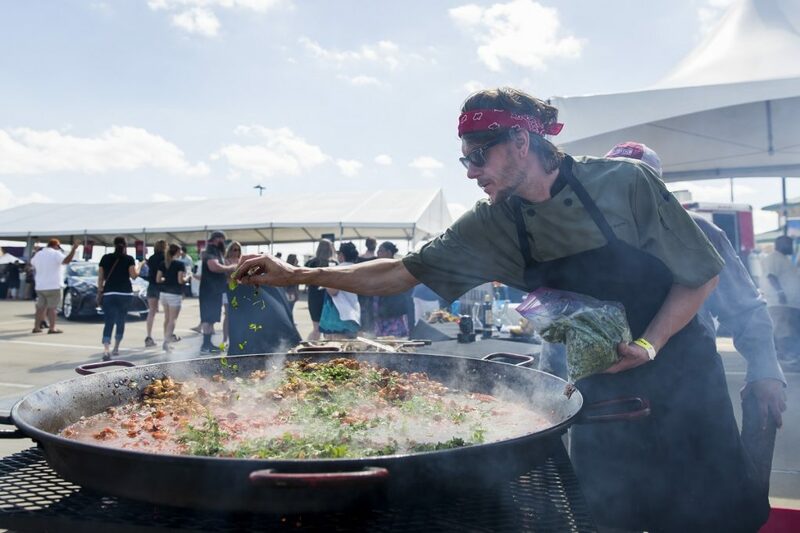 The meat- and fish-loving chefs cooking for the event are Jett Hurapan of Songkran Thai Grill, Kourtenie Tyson of The Burning Pear at Sugar Land Marriott, James Canter of Guerrilla Gourmet and Rebecca Masson of Fluff Bake Bar. Courses will be paired with wines and bespoke cocktails. Tickets to this 6:30 p.m. dinner are available for $125. Thursday, April 5 promises a more casual evening with Bar Fight! Street Food Bites & Bartenders Challenge at 2110 Town Square (the former Bacon Bros. restaurant space). An elite group of bartenders from around the city will go head-to-head in a battle to see who can create the best Paloma cocktail. The competitors are Peter Clifton of Ritual, Jim McConn of Américas, Zach Hayes of Songkran Thai Grill and Anne-Marie Bungay-Larose of The Middle Spoon. There is also Mexican street food and beers for those who aren’t on good terms with Don Julio. The event is at 7:30 p.m. and tickets are available for $40. Pinky out is only proper when sipping wine. Photo courtesy of Sugar Land Wine & Food Affair. The fun continues at 7:30 p.m. on Friday, April 6 with The Grand Tasting. The Sugar Land Marriott Town Square will host sweet and savory creations from top culinary talent like 2017 Uncorked Houston Rodeo Best Bites Award winner Andrew Lobeck (Merlion), pastry chef Elise Russ (Clementine, San Antonio) and Food Network favorite Brian O’Hea (Acadame at The Kennebunk Inn, Maine). 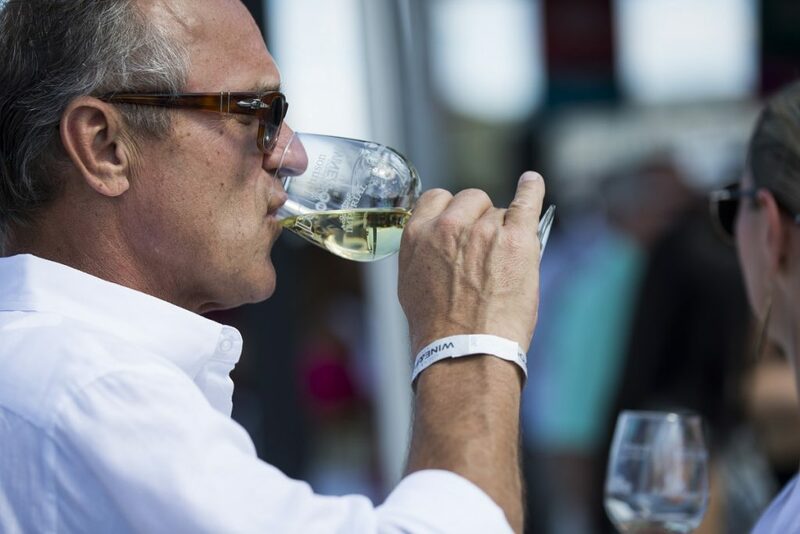 The Grand Tasting is considered the crown jewel of the week. Doors open at doors at 7:30 p.m. and tickets are available for $125. Head over to Brazos River Park at 18427 Southwest Freeway on Saturday, April 7 for the Sip & Stroll experience. In addition to bites from over 25 of the area’s best restaurants, there are also craft cocktails plus an expansive wine menu. Sommeliers and other industry experts are hosting a variety of wine education seminars throughout the day as well. Tickets are available for $65. 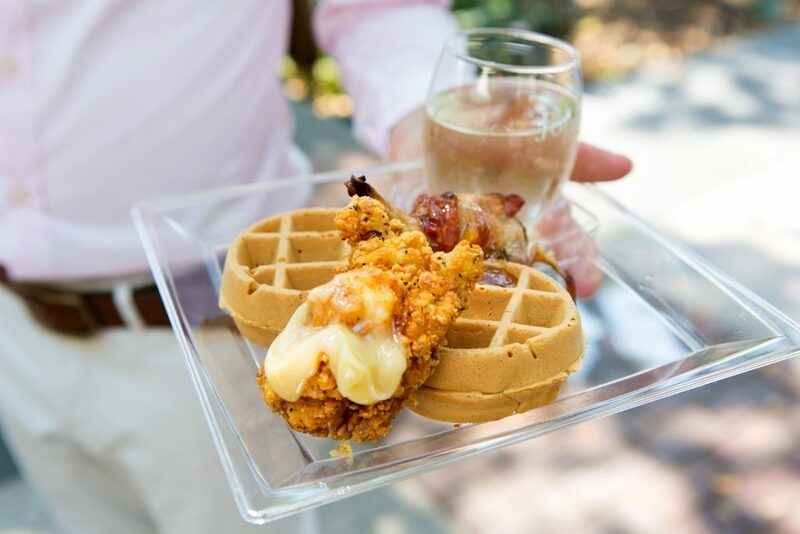 Elevated chicken and waffles for brunch? Don’t mind if we do! Photo courtesy of Sugar Land Wine & Food Affair. The wine education seminars continue at the Bistro Brunch on Sunday, April 8th. In addition to the classes, guests will enjoy unlimited bites from a mostly-different 25 local area restaurants. Highlights include Guerrilla Gourmet, Mala Sichuan Bistro and Marini’s Empanada House. Tickets are available for $65. Tickets to any or all of the events may be purchased here. The Sugar Land Wine & Food Affair benefits a permanent scholarship endowment at the University of Houston Conrad N. Hilton College of Hotel and Restaurant Management. Editor’s Note: Sugar Land Wine & Food Affair is a current Houston Food Finder banner sponsor—but did not sponsor this news article.